Visual Communications, Films by Youth Inside, and the UCLA Asian American Studies Center are pleased to bring an inspiring selection of works created by Pacific Islanders to the Los Angeles South Bay community. An eclectic mix of recent works showcased through the Los Angeles Asian Pacific Film Festival and Hawaii International Film Festival will be joined by selected works from FYI Films, which empowers incarcerated youth from L.A. County, Hawai'i, and Guam via personal story telling and digital filmmaking. A pre-reception and pre-screening live program will be included, and many of the directors of the films are expected to attend. Join us for a fun-filled and inspiring evening of food, films, and friends! FREE EVENT, but RSVPs are required. Please RSVP by Thursday, Aug 24. Due to limited capacity, RSVPs do not guarantee admission. Please arrive early. This film explains and demonstrates how Sissy Ka’io teaches the Hula. The focus is on her male students, which harks back to the origins of the dance and breaks the stereotype of the hulas as mere exotic entertainment. A visual poem that pays tribute to Maunakea, a sacred mountain on the island of Hawaii and the center for one of the largest conflicts presently taking place in Hawaii. LET THE MOUNTAIN SPEAK gives voice to the mountain herself through visually thought provoking images, sound and artistic storytelling through film. A mighty Chamoru chief returns to the island of Guahan and mourns the loss of connection between modern Chamorus and their past customs and ancestors. A history of colonization and resistance is a legacy that Chamorros (indigenous Guamanians) either run away from — or warily embrace. HO’OMAU follows Kapualei Hanohano-Tripp, a young woman passionate about making a difference for the advancement of her culture. She navigates her way through career paths that allow her to influence the Hawaiian community. This film highlights her profession as a Hawaiian language teacher in a rural demographic. When a Hawaiian youth refuses to beat up a haole as part of his gang initiation, his older brother threatens to ex-communicate him from the gang and his family. The matriarch of a large Polynesian family lies bedridden and silent, unable or unwilling to speak after a long illness. When a family crisis strikes, Nan Maria gets unexpected help as she struggles to reunite her fractured family. A young woman is confronted by a never-ending array of problems on the day her family is served an eviction notice: her brother is arrested, her rent money is stolen, and she's under pressure to date the local wannabe gangsta. It's up to no-nonsense Big Auntie and a forest spirit, or duendas, to show her the right way to solving her problems. 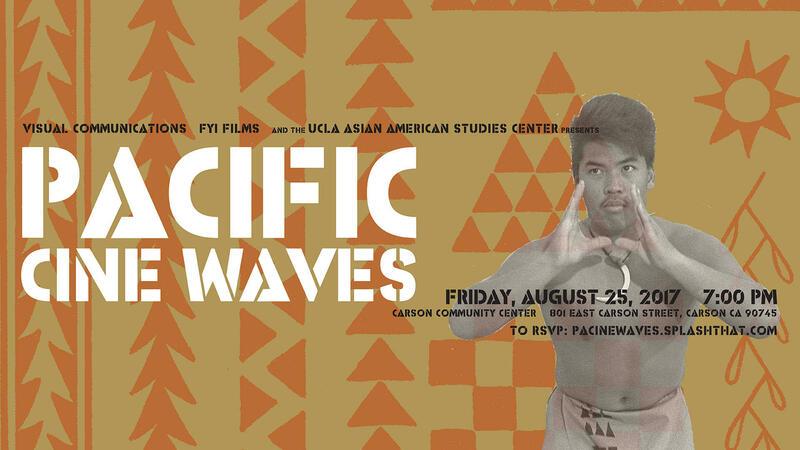 FYI Films; UCLA Asian American Studies Center; Empowering Pacific Islander Communities; Guam Humanities Council; Island Block Radio; The Jason J. Project; Kutturan Chamoru Foundation; Nielsen; Pacific Islanders in Communications; Sony Pictures Entertainment.